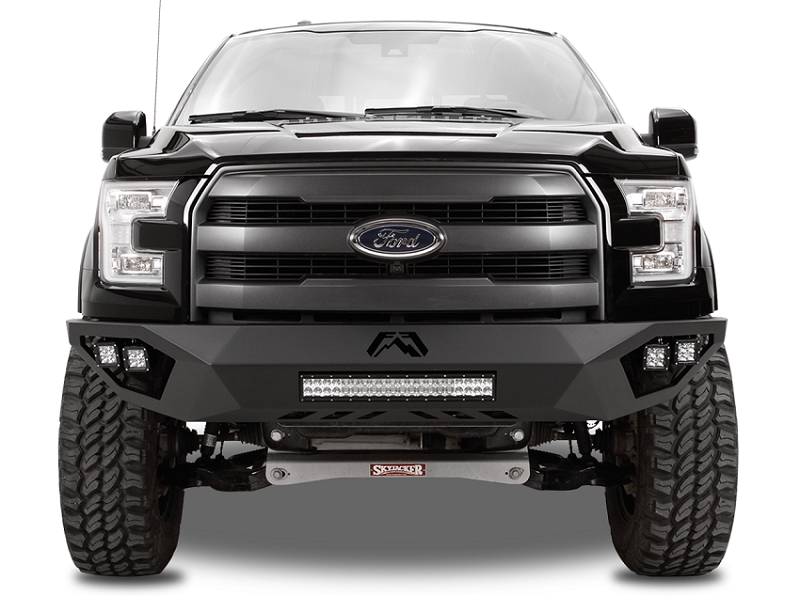 Fab Fours Off-road Front Bumper for Your New Ford F-150 - Ford F150 Forums - Ford F-Series Truck Community. Are you ready for another portion of rugged accessories aimed to make your off-roading even more unbeatable? We bet you are. 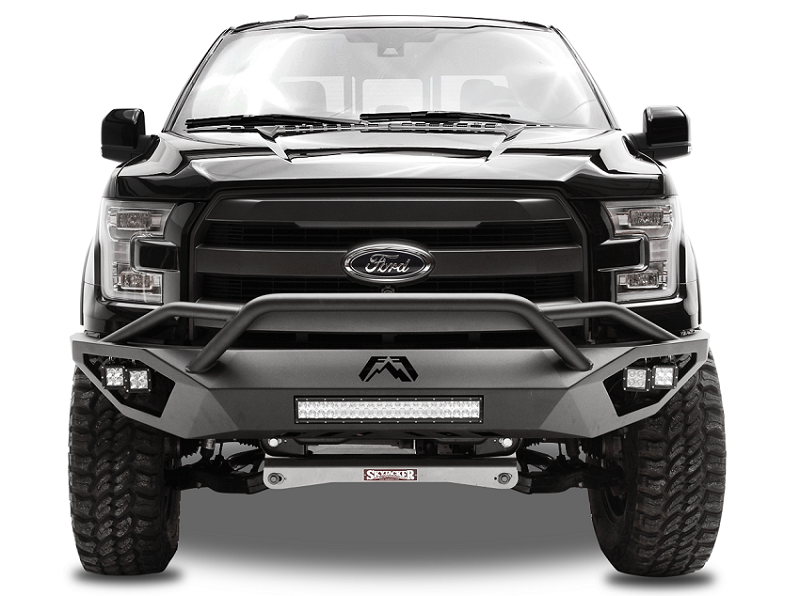 If you closely monitor all the news and events that happened on the last SEMA Show, you probably noticed gorgeously customized trucks with the FAB FOURS front bumpers. In today's post we will tell you about those hand finished, hand welded tough bumpers. Either if you want to achieve that show truck look on your truck or looking for a highly impact resistant front end protection element for your Ford F-150, the Vengeance series bumpers are exactly what you need. They are available in two configurations of your choice: with and without pre-runner guard and are absolutely compatible with the sensors. Moreover, each of front bumpers created with the Fab Fours logo allow you to install an integrated 20” LED light bar in the center. What is off-road bumper for you: more of a style or a function?